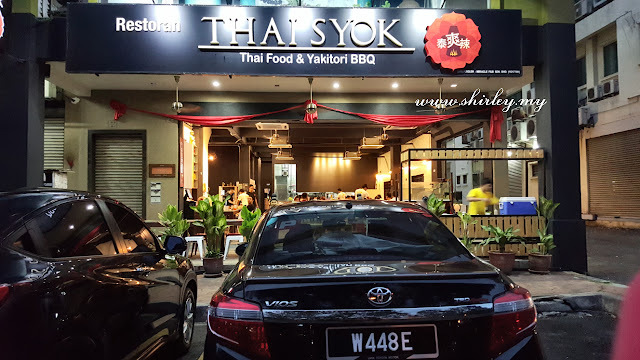 Thai Syok is a restaurant which serves authentic Thai cuisines. It is located at Sunway Mentari, Petaling Jaya. (if you know the location of Fat One Steamboat, it is at the back of it) There is a wide space inside the restaurant where I get to enjoy my food comfortably. You may get some recommendation of food from Jeffred Tham (Managing Director of Thai Syok), he is much more friendly to help you upon ordering. Check it out here for what to order too. This cuisine consists of 6 skewers (1 each) from the list below. It is the perfect match of Yakitori where you can try out all of the selections. 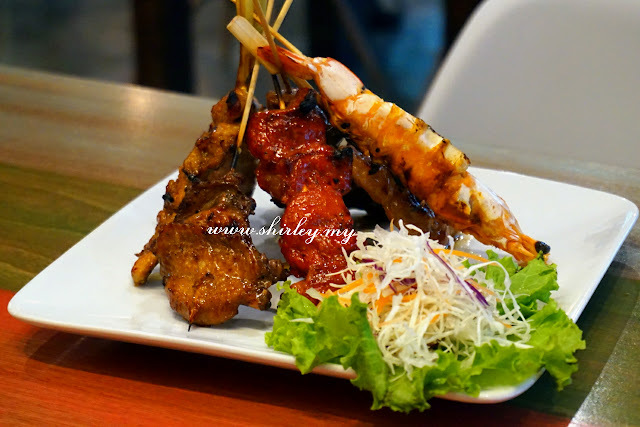 However, you may also order your preferred one as they come out with 3 skewers per selection. 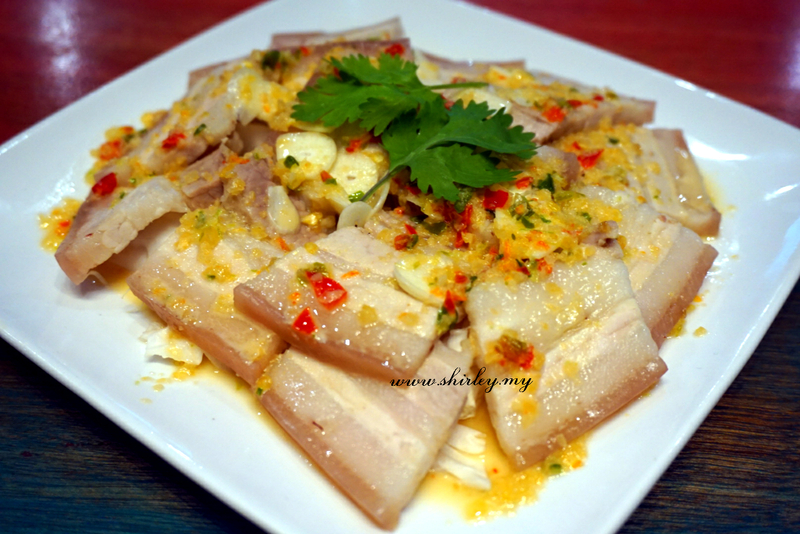 I would like to recommend you to try out the marinated pork belly which is my all time favorite. The meat of the pork belly is soft and chewy. 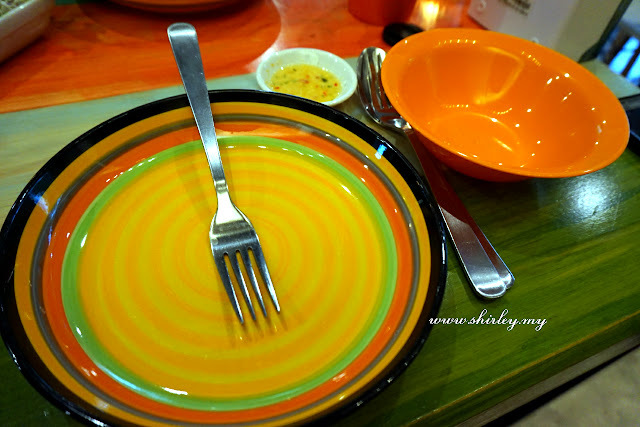 One of the must try cuisine when you visit a Thai restaurant. 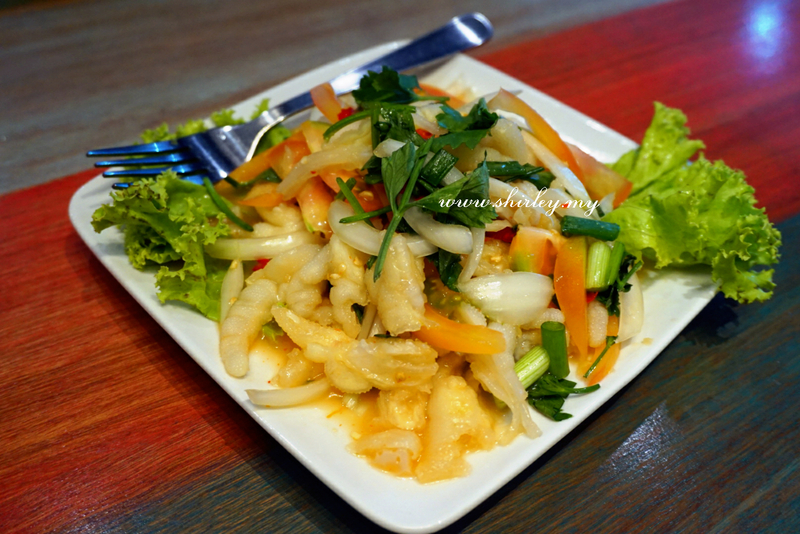 The Thai food presented are basically from southern Thai, thus they are less spicy. 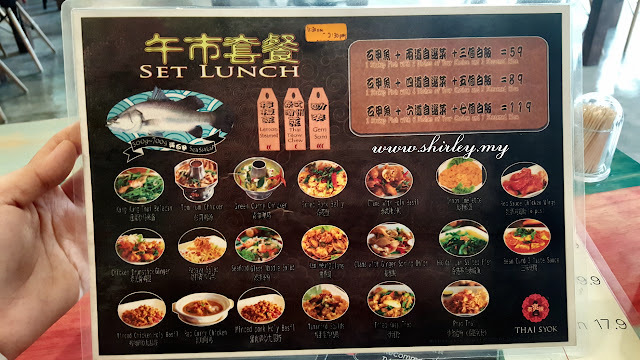 I like the way they serve this dish where as customers are able to choose their preference of chicken, pork, vegetables, seafood or king prawn for the Green Curry. 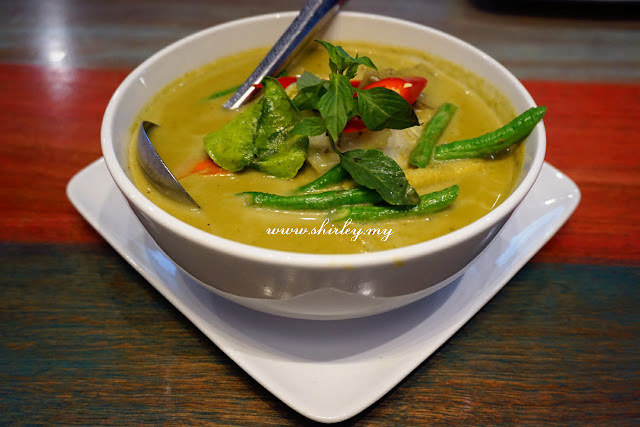 The taste of Green Curry is very good! It could be the best to be eaten with white rice. This is one of their signature dish. The chicken is soft and juicy. 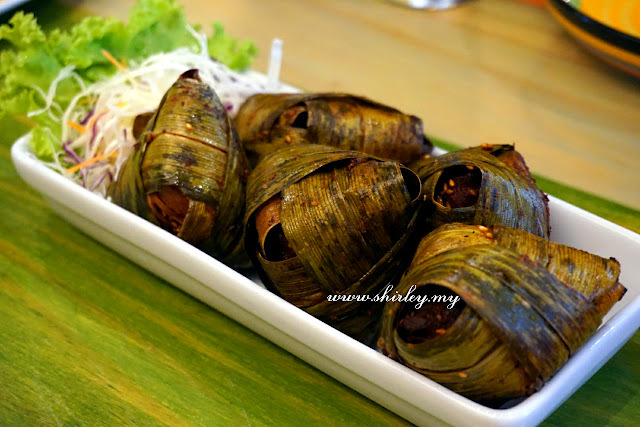 The chicken is well marinated and wrapped with pandan leaf. This is probably the most favorite dish for pork lovers. 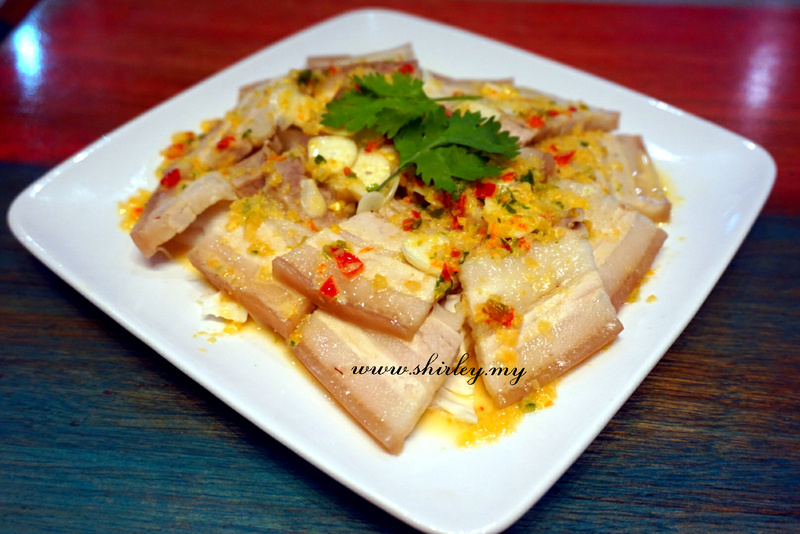 The pork belly is braised well and rinsed with lime sauce. The lime sauce tastes good and unique. It is a perfect match with pork belly. 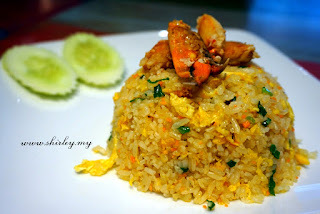 Those who love fried rice, you can try this out at here. It is worth to try as the rice is fried with more crab meat. Lastly, I end my meal with red rubbies with jack fruit in coconut syrup. It is well presented with beautiful look. It tastes perfectly nice. 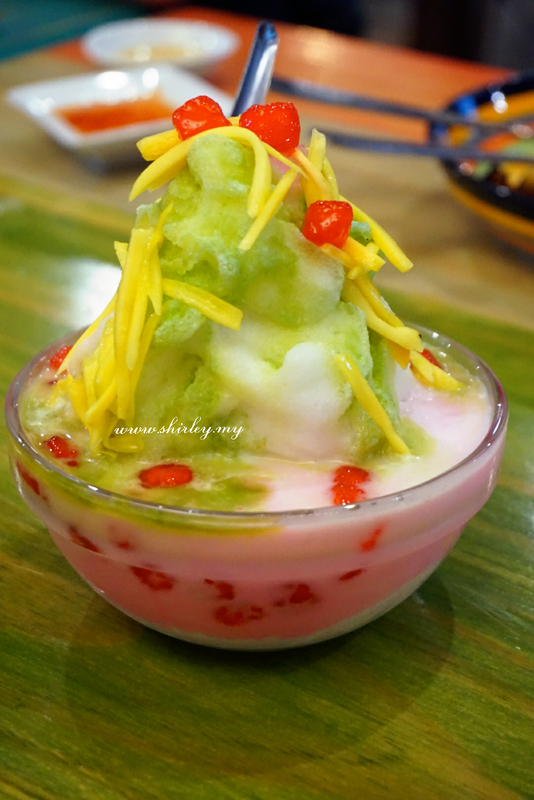 The dessert is added with little bit of green tea to enlighten its taste. I would strongly recommend you to try this out. You may also choose to have crushed ice or ice blended. 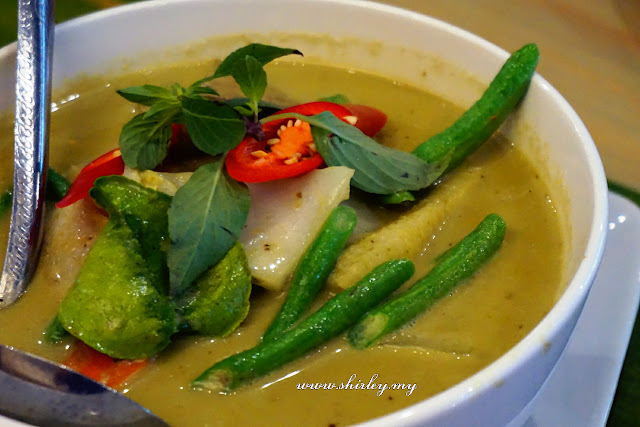 Thai Syok is offering set lunch which is from 1130AM to 2.30PM.